New distribution deal for our upcoming album ”The Ghost Ward Diaries”! We’ve just signed a distribution deal for our upcoming album ”The Ghost Ward Diaries”! Swedish rockband Electric Boys sign with Mighty Music and release new album in November. “The album is far from predictable, yet it was the easiest album to record since the reunion. We really had a good team going with producer/engineer David Castillo.” Conny Bloom, Electric Boys. 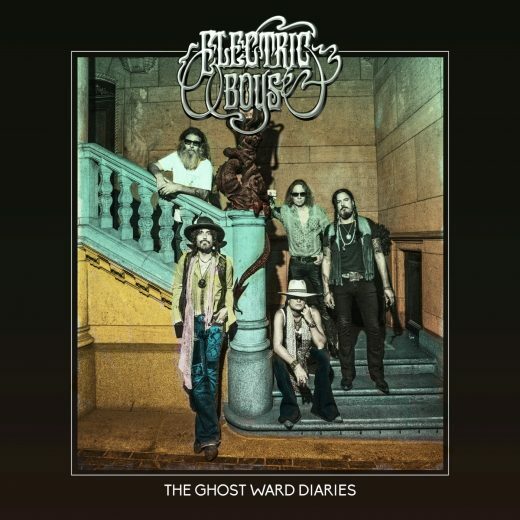 Electric Boys have just finished recording the new album ”The Ghost Ward Diaries” to be released on the 23rd of November worldwide through Mighty Music. Conny describes it as ”different” and full of fun. The first radio single and music video from the upcoming album, “Hangover In Hannover”, is due to be released in late September. Out 23rd of November 2018 worldwide through Mighty Music on LP, CD and digital. Pre-order here: www.targetshop.dk/electricboys or at your local record pusher.